Free HR consultancy (reasonable use applies) for a limited time only! 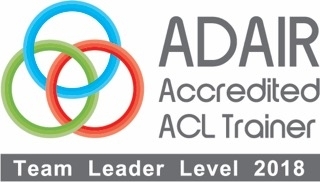 Our flagship Leadership Development programme is based on Prof. John Adair’s Action Centred Leadership model; a well-established model that has stood the test of time. In fact, one of the most remarkable things about this approach in a world of conflicting business and training ideas is its sheer staying power. (This workshop can also be two half-day training or coaching as required). These practical, stand-alone modules are based on six people management topics, coupled with six modules that focus on individuals’ personal CPD. Committing to all 12 modules ensures that experienced managers and those aiming to move into a successful management career build confidence in themselves and their ability to actually ‘manage’. You may already recognise how disruptive absence can be, especially short term sickness absence and the impact it can have on already tightening budgets, including supply cover. We work regularly with our clients to drive progress in this area. That is why we have developed our Managing Absence Toolkit, where we work in partnership with you to identify key triggers to help you manage and ultimately reduce absence levels and ensure you are compliant with your policy. I am interested in learning more about the Effective Leadership & Management Package for schools. Please can you contact me? Thank you for your enquiry. We'll be in touch within 48 hours.